Listening to President Howard W. Hunter deliver one of his carefully articulated sermons from the pulpit in the Tabernacle, it may be difficult to imagine him growing up in Boise, Idaho, where he became an Eagle Scout and was an avid collector of wild birds' eggs, stamps, and corns. Or to envision him swimming in the surf off the beaches of Southern California where he spent his young adult years and where he courted his sweetheart. Or to imagine him organizing a dance band that performed in Idaho, California, and even on a luxury liner bound for the Orient. 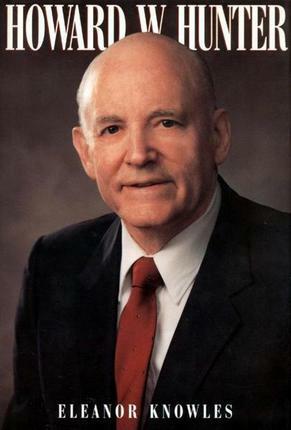 These are only a few of the little-known details to be found in this biography of the man who was himself little known outside of Southern California when he was called to the Council of the Twelve and ordained an apostle in The Church of Jesus Christ of Latter-day Saints in October 1959. A naturally modest person, President Hunter has not often made a public display of his immense personal warmth and charm, or of his spontaneous, low-key sense of humor. And so, for many members of the Church, he remains something of an enigma. His inspired and innovative leadership as president of the Pasadena Stake. His numerous travels throughout the world, to exotic and far-flung places, during his thirty-five years of service as a General Authority. The time when he lost his balance and fell backward while speaking in general conference but scarcely missed a beat as he arose to continue his speech. The frightening incident at Brigham Young University when he reacted calmly to a terrorist who threatened him with what his assailant said was a bomb. The affectionate and emotional welcome he received from his brethren in the temple the day he walked in after being told he might never walk again. 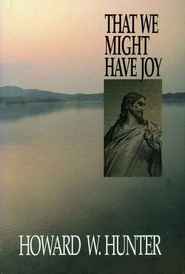 And the quiet courage with which he has met his own health challenges and the personal tragedies he has encountered.